Fourteen per cent recorded the presence of moles, with half of these detecting moles regularly. Unsurprisingly, most moles were detected in rural gardens, being most frequently seen (or at least their molehills) in Wales in 25% of gardens, compared with 15% in Scotland and 13% in England. There are no moles in Northern Ireland. Roe deer were recorded in 5% of gardens, with most sightings came from Scotland, where they were seen in 16% of gardens, compared to 4% in England and only 0.5% in Wales. There are no roe deer in Northern Ireland. 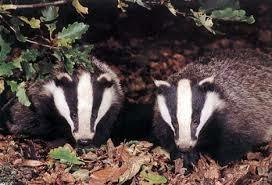 A lucky 5%, in my opinion, saw badgers, including more than 20& in Somerset and Pembrokeshire. 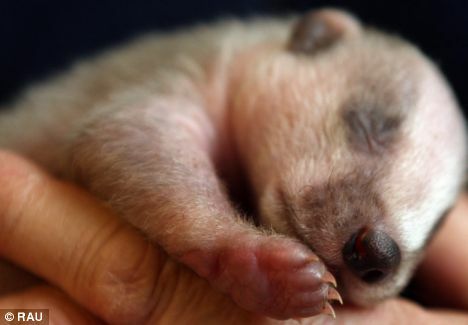 Badgers have unusual breeding patterns since mating can take place at any time of the year. After mating, badgers exhibit what is known as delayed implantation. They keep the fertilised eggs, in the womb in a state of suspended development until they implant at the end of December. Cubs are usually born during the first fortnight in February in the south and west, but sometimes a little later as you go further north in the UK. So this cub was born rather early in the year. I wonder if the mother was moving her cubs to a warmer sett and this one got dropped, or did it just remove it from the sett because it couldn’t feed it. Please drop me a mail if you can enlighten me on this.